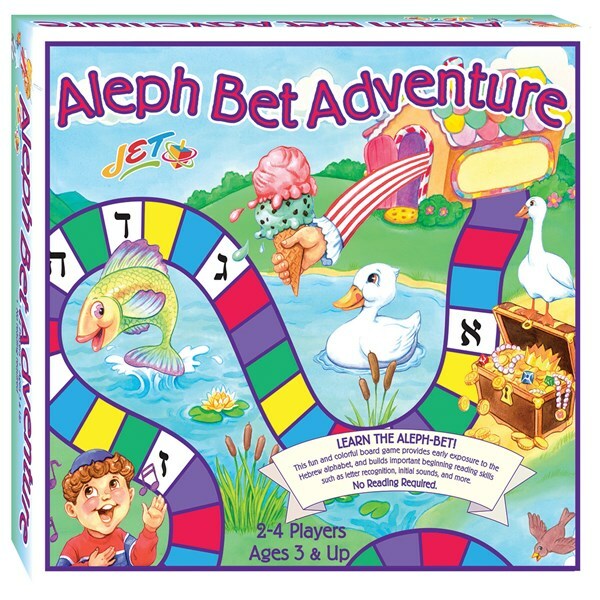 Fun, colorful board game helps to teach aleph-bet and builds letter recognition skills, initial sounds, and more. No reading required. 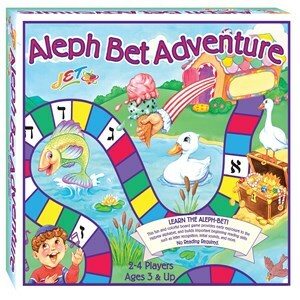 2-4 players.